This exhibition examines the geometry and design of ancient art and the efforts by artists to represent depth and movement by influencing the vantage point of the viewer. "Tanagra Figurine of Standing Woman," Boeotia (Greek), molded terracotta. Gift of Edward Perry Warren, Esq., Honorary Degree, 1926. Bowdoin College Museum of Art. 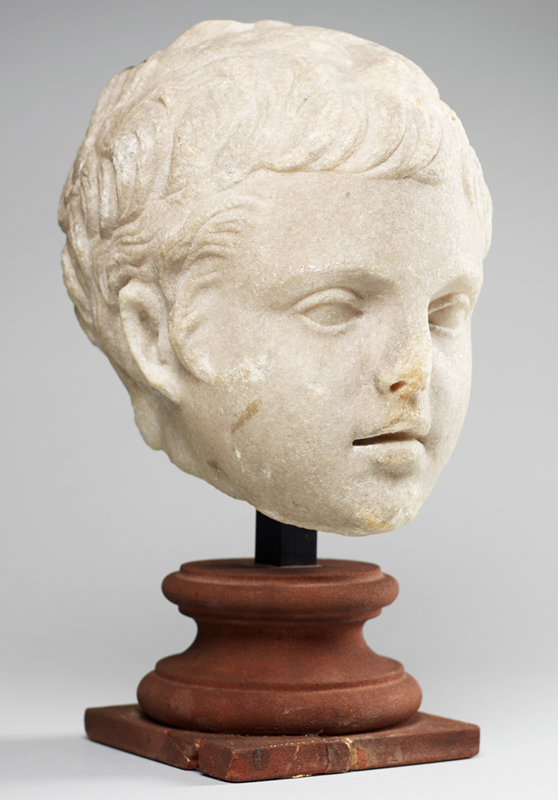 "Roman Portrait Head of a Boy (Gaius or Lucius Caesar? )," ca. 30 BCE-20 CE, Roman, Parian marble. Gift of Edward Perry Warren, Esq., Honorary Degree, 1926. Bowdoin College Museum of Art. 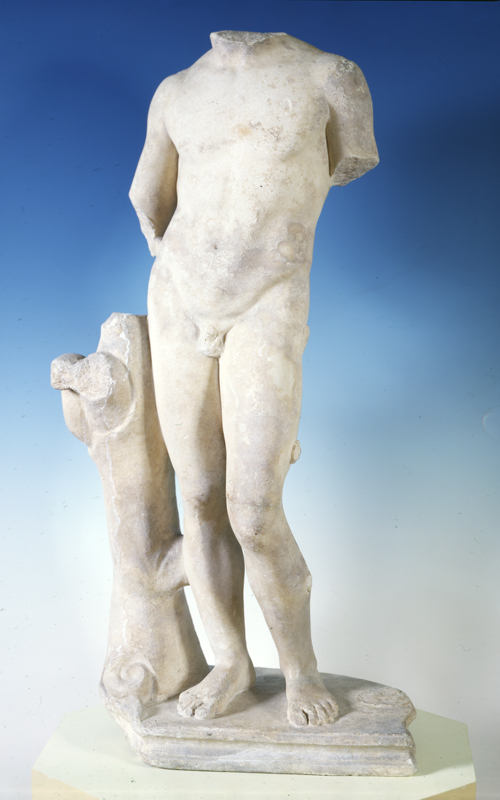 "Statue of a Youth (Pythian Apollo? )," Greco-Roman, marble. Gift of Nathan Dane II. Bowdoin College Museum of Art. “Bail-Handle Olpe Depicting a Funeral Scene,” ca. 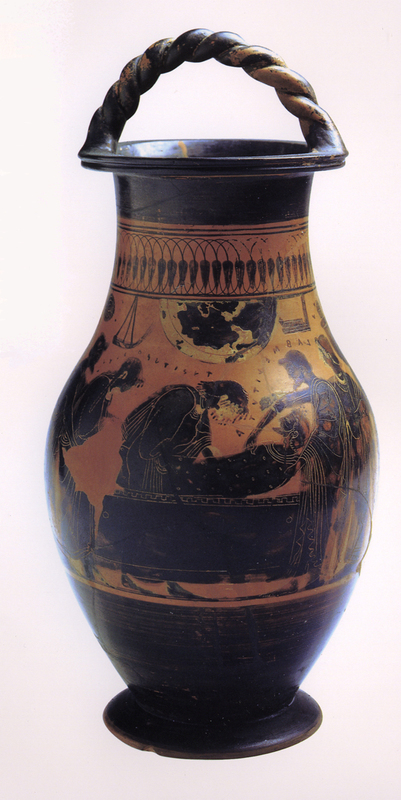 500 BCE–475 BCE, terracotta, by the Sappho Painter, Greek. Museum Purchase, Adela Wood Smith Trust, in memory of Harry de Forest Smith, Class of 1891. Bowdoin College Museum of Art. Egyptian, “Mummy Portrait of a Lady,” ca. 100–150 CE., stucco, glass, painted and gilded jewelry with remains of polychrome by an unidentified artist. Museum Purchase, Lloyd O. and Marjorie Strong Coulter Fund and the Helen Johnson Chase Fund. Bowdoin College Museum of Art. 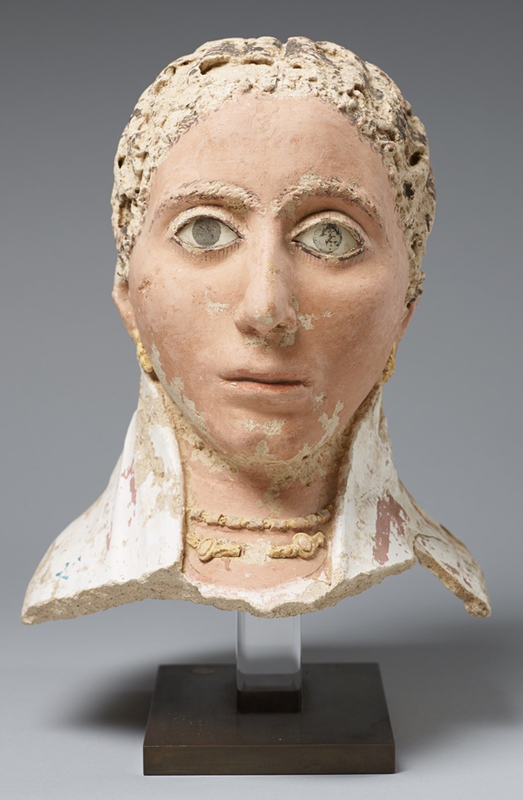 This exhibition examines the geometry and design of ancient art and the efforts by artists to represent depth and movement by influencing the vantage point of the viewer. By simply flipping a coin, rotating a vase, or walking around a sculpture, the composition changes and new perspectives emerge. 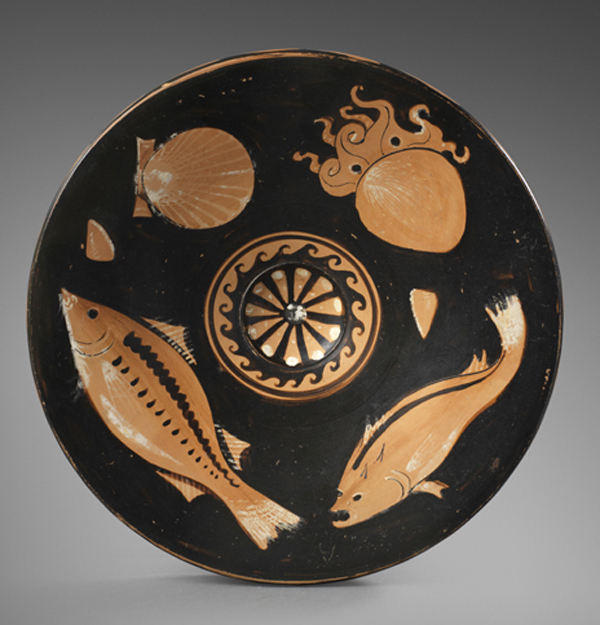 Using artifacts from the ancient Mediterranean, In the Round explores early innovations in representational art.